Dannie Heineman Prize for Mathematical Physics is an award given each year since 1959 jointly by the American Physical Society and the American Institute of Physics. It is established by the Heineman Foundation in honour of Dannie Heineman. "For his seminal contributions to nonequilibrium statistical mechanics as exemplified by his exact solutions of growth models and stationary states of open systems. Combining mathematical rigor with physical insight his work elucidates the transition from microscopic to macroscopic behavior." 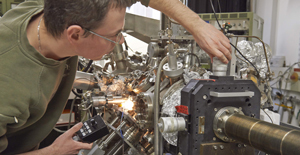 Herbert Spohn received his undergraduate education in Physics at the Technical University of Stuttgart and his Ph.D. degree in 1975 from the Ludwig-Maximilians-Universitat at Munchen. He was postdoc at Yeshiva University and Rutgers University with Joel Lebowitz and at Princeton University with Elliott Lieb. 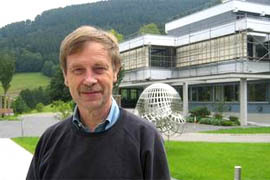 In 1982 he joined as associate professor the group of Herbert Wagner at the LMU. 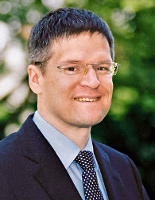 Since 1998 he is full professor at Zentrum Mathematik and Physik Department of the Technical University at Munchen. He has been visiting member at the IHES, Paris, and at the Institute for Advanced Studies. Herbert Spohn is most widely known through his work on interacting stochastic particle systems, in particular driven lattice gases, and his study of universal probability distributions for growth processes as connected to line ensembles and random matrix theory. He strived for a deeper understanding of how macroscopic laws emerge from the underlying motion of atoms. 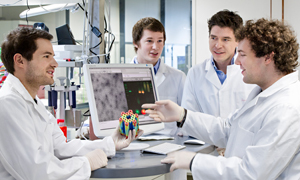 Spohn was awarded with the Max Planck Research Award, jointly with Lebowitz. He chaired the International Association of Mathematical Physics.